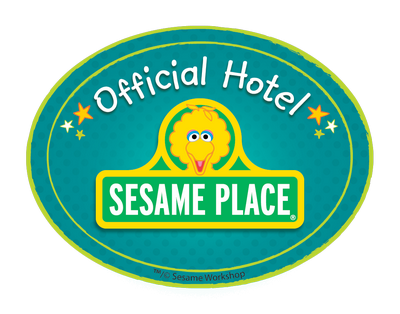 Choose Radisson Hotel Philadelphia Northeast to be close to Sesame Place, the world’s only theme park based on the show Sesame Street®. What began as a three-acre amusement park has grown into 14 acres of kid-friendly roller coasters, water rides, live stage shows and interactive games. Take a family photo with characters like Elmo and Big Bird at the Neighborhood Street Party Parade, or watch Abby Cadabby prepare for her big art show at the Neighborhood Theater. To make your stay more affordable, take advantage of package deals that include accommodations and tickets. Get a hug from Elmo before digging into a delicious breakfast, lunch or dinner. Your children can meet other Sesame Street characters like Big Bird and Grover while learning counting, literacy and creative expression. Reservations are required. Dance and sing along to Elmo the Musical—Live at Sesame Place, or watch Abby Cadabby learn about the importance of imaginative expression in The Magic of ArtTM. Let gravity pull you down one of the two intertwining waterslides that end in a large splash pool. Perfect for when your kids want to cool down, this multilevel playground features fountains, water guns, slides and a 1,000-gallon tipping bucket. One of the park’s most popular attractions, Sky Splash is a six-story water ride that takes up to six people through serene water pools and thrilling accelerator slides.